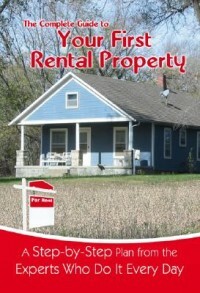 B ecoming a series, this post will discuss the cost of property management. At least here in the Kansas City area. I do follow costs in other parts of the country but with the diversity of our readership, I’ll just discuss Kansas City rental property management. You can talk to your local real estate agents for your local details. Property management here in Kansas City is pretty homogenous, at least in cost structure. Monthly fees for collected rents run anywhere between 7% and 10%. There are a few companies that charge one flat fee per door. Lease-out fees are running between 50% and 75% of the first full month’s rent when the property manager has to find a new tenant. $500 to $750 in lease out fees. This doesn’t absolve you from figuring other costs/expenses as well. You know, your vacancy and repairs…just to name a couple. Management fees of 7% to 10% seems awfully high. Management fees for commercial properties typically run 5%. I wonder why the 50% to 100% premium? Could it be a hassle-factor for residential property? Commercial and residential are always two different bags of cats. Higher turnover, more flakiness, amongst other factors like much smaller dollar figures, generally lead to a higher rate in residential. 5% of $21/sq ft x’s 1500 sq ft is a lot different than $900/mo for a half duplex rent. The scenario I just gave gives the commercial property manager nearly twice the dollar figure as the residential property manager. Actually, Nick, I think Kansas has one of the better rates in the country. Look at states like California, Texas, Florida, New York and even Washington. I think their rates are even higher.